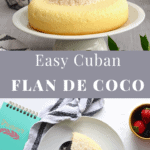 If you are in charge of dessert, Flan de coco will be it! I got you covered. It’s simple, most likely you have all ingredients in your pantry. Does not require too much of your time so you can relax and sip on a Margarita while it’s in the oven. The steps are easy! The eggs are beaten, the 2 milks are added and the coconut and hop it goes in the oven! Easy right? 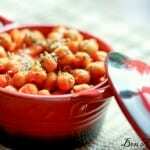 So simple that it’s definitely a recipe that allows you to get the kids in the kitchen! Mine were in charge of beating the eggs and pouring the milk. Easy enough and not to long of a task so you still have their attention. This flan de coco is lighter that the Cuban flan I shared with you in the past. I used more milk (2%) with the condensed milk and it made lighter and more fluffy after being baked. Also, the Cuban flan has a caramel but I didn’t make any for it with this dessert, it makes it less sweet. I choose to garnish with toasted coconut. It adds more texture. This flan de coco recipe is actually a fail from what I had in mind but turned out great. All the test tasters approved. So what is the fail? The coconut went right to the bottom BUT it create some sort of crust at the bottom, or a layer I should say. It was just perfect. Pre-heat the oven at 350°F. In a bowl, beat the eggs. Add the milk. Stir. Then, add the condensed milk. Add a portion of the shredded coconut (3/4 of a cup). Stir again. Pour in a round oven dish, I used a T-Fal pot but any 9-inch round pan would work, make sure it's high enough. Bake in a bain-marie for 35-40 minutes. To check if it is ready, insert a knife in, if it comes out clean. You've done it! Broil in the oven 2 minutes the rest of the coconut or until golden. Use for garnish. 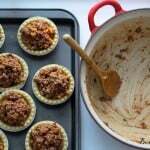 Bain-marie: Place your dish/pot on a baking sheet and fill the baking sheet with water. Your flan will cook without drying. Also, I used my favorite T-Fal Ingenio to make this flan. 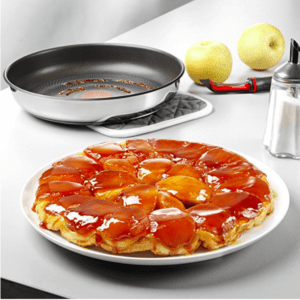 It’s non-stick and it makes baking quite easy. I first bought this pots and pans when I lived in a condo and had little storage and I love how they stack on each other and the removable handle! I adopted them and the rest is history! I can t wait to try this…it seems so summery! I am tempted to serve grilled pineapple with it..maybe pineapple marinated in tequila and then grilled! This is such a great idea with the grilled pineapple!! Oh and marinated, you speak my language Carolyn!